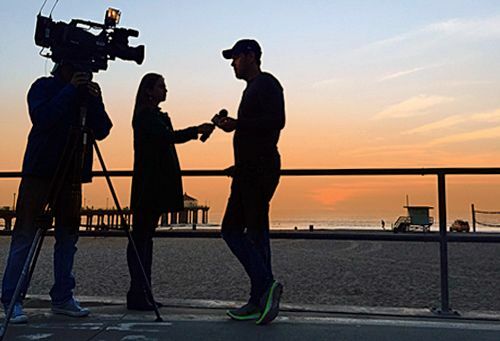 Eric J. Smith is a Los Angeles based content creator and serves as Senior Vice President of Content for Givewith LLC, a social impact technology company. A passionate oceans and wildlife advocate, he has a long career of creative work for non-profits such as Waterkeeper Alliance, Rainforest Action Network, Earthjustice, 350.org, The Greater Yellowstone Coalition, the Monterey Bay Aquarium and the Climate Group. 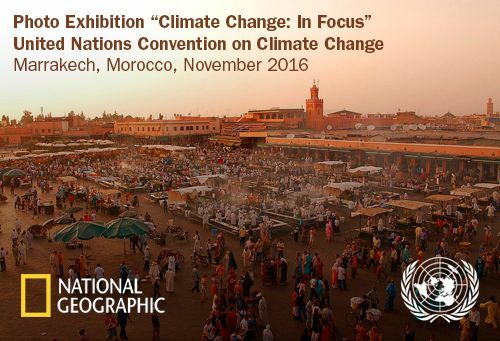 Eric’s photographs have been exhibited by the National Geographic Society, most recently at the Conference of the Parties (COP22), the UN Climate Change Conference in Marrakech, Morocco (February 2017) and in their “View from Above” exhibition at Chicago’s O’Hare International Airport (May 2014). In 2016, Eric had a solo exhibition of photographs “Abstract/Earth” at Hermosa Design in Hermosa Beach, California and in 2007 had a solo exhibition “Progress + Light” at the Epoxybox Gallery in Venice, California. Eric attended the Hartford Art School and is a summa cume laude graduate of the Rhode Island School of Design. He is a member of the Directors Guild of America, The Royal Photographic Society, The Society for Photographic Education and the College Art Association. Eric has been in the public eye for over a decade. According to the Huffington Post, “his Instagram Account is full of stunning images of everything from hummingbirds to rock concerts.” His work on the solo exhibition “Progress + Light” was featured on the Sundance Channel series “Big Ideas for a Small Planet.” The show features artists who make sustainability a feature of their craft through subject matter, messaging and materials. March 2019 | On behalf of his team at Givewith, Eric receives the Cynopsis Media Social Good Award for best awareness campaign for female empowerment. The video he directed for Dell Technologies and Girls Who Code was honored in a ceremony at the Yale Club in New York City. February 2018 | Eric’s photograph “The Dreamer” is featured in the craft journal of the Royal Photographic Society. February 7, 2017 | Eric's aerial photograph of the Empire State Building is selected by National Geographic for inclusion in their story "Innovative Design in Cites." 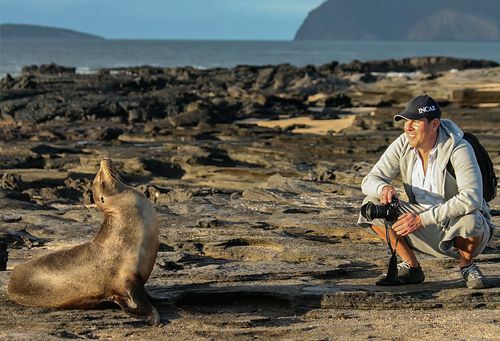 June 27, 2016 | Eric's photo of a sea lion is featured by National Geographic in their Daily Dozen feature. February 4, 2016 | Eric's photo of a Hollywood coyote is featured by Outside Magazine. November 3, 2015 | Eric's portrait of CBS EcoMedia founder Paul Polizzotto is featured in Forbes. October 16, 2015 | Eric's photo of Grand Prismatic is featured in iFly, the monthly publication of Dutch airline KLM. September 20, 2015 | Eric's photo of the Seattle Labyrinth is featured by National Geographic as one of their "top shots" of August. Only twelve images were selected out of 100,000 uploads. March 6, 2015 | Eric photographs three time Olympic Gold Medal Vollyball Champion Kerri Walsh for Manhattan Beach’s Tour DePier Fundraiser to battle Cancer.